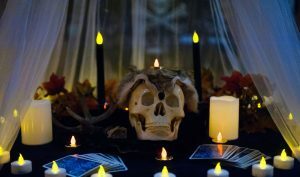 Come and enjoy St. Catharines first ever Voodoo and Witchcraft Fair at the WAREHOUSE CONCERT HALL on Sunday June 24th! Interactive voodoo ceremony on the Feast day of St. John the Baptist. Featuring a close out concert by the globally acclaimed, award winning tribal music of Niagara’s own Dragon Ritual Drummers! 5:00 PM Interactive voodoo ceremony. Join Witchdoctor Utu from the Dragon Ritual Drummers, Niagara Voodoo Shrine and New Orleans Voodoo Spiritual Temple, along with a host of friends and family for a voodoo ceremony to celebrate the legacy of the Underground Railroad, through the mysteries of the voodoo baptismal and the crossroads of freedom. 7:00 PM Dragon Ritual Drummers concert! The WAREHOUSE CONCERT HALL is a licensed venue, have proof of legal drinking age on hand in order to be able to purchase alcohol. Holy moly… WE MADE IT! With December upon us, it’s time for us to hang up travel bags and settle down for a long winter’s nap. We’ll be “closed” from December 8, 2017 to January 6, 2018. We’ve been to TWENTY EVENTS this year alone and we’re beat! That doesn’t include the classes! No fretting now! There’s good news! Throughout the year, we were pretty sneaky! We made a bunch of new things and just sent them out into the world. Wellllllllll……We’ve got the reports back and we’re ready to bring you some new stuff in the new year! Small Batch Hand Poured Artisan & Conjure Soaps – Looking for discreet Magique? Here it is! Wash that condition right out of your life! Small Batch Conjure Incense – These are made with carbon neutral incense sticks that are oppression free! After the three day making & blessing process, we’re happy to bring you a few varieties. Be careful! A little goes a long way! 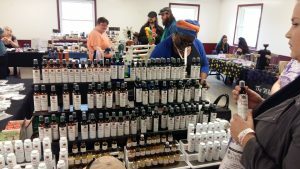 New Oils & Sprays – we have a few new oils, sprays as well! 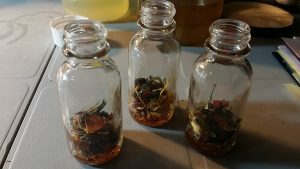 Washes & Tinctures – So excited! Once word got out about these, I have barely been able to keep up! With all the good news, there comes some that’s not so good. As the Beaux Magique line of products has more than doubled, we’re forced to retire some of our products. This means that we won’t carry them to every show. However, they will stay on our website for purchase. Don’t worry! We *never* throw away a recipe! We’ve got Pop Up Shops in Toronto planned as 2018 opens! Be sure to sign up for the Beaux Magique spam free newsletter, find us on Facebook, Google Plus, Pinterest, Tumblr, Instagram, YouTube or follow us on Twitter for all the info! As the summer draws to a close (MAYBE! ), Beaux Magique is back to the lab. Over the past few months, we’ve had a LOT Of custom requests for products – which we love! Most of them however, didn’t have a deposit put down for them – which we don’t love 🙁 What does this mean if you wanted something custom made? You’ll have to wait for it. Plain and simple. Yes, we really really do want to make that custom oil or spray. Please keep in mind that it takes time, research, and above all, a LOT of magic work to make that item for a deity or spirit that we don’t normally work with on a frequent basis. If it’s a simple item? It could take trial and error to get the item made right. Often the components are not on hand or easily obtained. Those three things alone take time, supplies and ultimately money. To be clear – we are going to make that custom item you want! A deposit for the item will put you at the top of the queue. No deposit? Your item will get worked on after the paid orders, restocking for events and when we have the resources. In the meantime? We’re getting ready for Ottawa Pagan Pride Day and getting back to making the magique! Did you miss it? Here’s the replay! All the links are below your video! In celebration of the Government of Canada finally repealing a law that made it illegal to practise Witchcraft, WIMA brings you a magickal night of storytelling by Witches & Wild Women. For centuries society has been indoctrinated into believing that witches were sinister and evil. Today, the fear of Witches still exist which still makes people fear declaring their beliefs. WIMA believes that this is the right time to bring women together to explore the spiritual evolution of Witchcraft. Come join us for a night of powerful Sister-Witch storytelling. 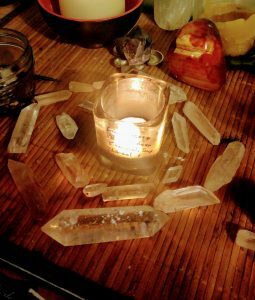 Learn how to release your inner Priestess through divine feminine spirituality from women who have reclaimed the name Witch as a holy healer. 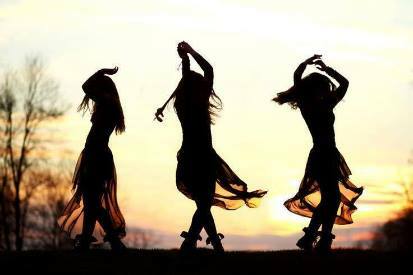 We are delighted to feature some of the wildest and spiritual witches in the city who will convey stories and will offer keys on liberating your inner Witch. You do not want to miss this exciting night of tales and tunes!! Whoot! We’re on our way back to Guelph on July 8th! C’mon down and see us! Be sure to sign up for the Beaux Magique spam free newsletter, find us on Facebook, Google Plus, Pinterest, Tumblr, Instagram, or follow us on Twitter! Replay of Beaux Magique LIVE on Facebook! Enjoy this replay of Beaux Magique Live on Facebook! Enjoy this replay of Beaux Magique Live on Facebook! In this video I talk about Elder wood, Fox Medicine, Folk Magick, Coyote Spirits, Setting ourselves on fire, candle magic and unboxing Tarot Cards! Sign up to receive our posts! Get our spam free posts by email!